I was recently introduced to Three Sisters instant oatmeal, and I love it. Unfortunately, it is only available at Whole Foods. I don’t go to WF all the time because it would cost too much to do all of my shopping there, but they do have a few key things that I stock up on once a month. This is now on the list. Three sisters is a terrific name for a company. Right? The colorful and charming box and pouch designs use 25% less packaging than other brands. $2.50 per box of 5 pouches equals .50 per bowl. That is cheap. Flavors like plain grain, brown sugar and maple, cinnamon and apples, and dark chocolate. Ingredients like old-fashioned oats, whole grains, flax seeds, real fruit, and premium chocolate. The pouch serves double duty as the actual measuring cup for the water. Why dig around for a measuring cup? Or if you are like me at work, just eyeball the water and end up with bad, sad oatmeal. It tastes terrific. The oats and grains and fruits and dark chocolate chips are identifiable. The texture is hearty. It isn’t too sweet. It is lovely. If you try some or have had it, tell me what you think! Or suggest a brand you like. I’ve been reaching for oatmeal all week now that it’s officially freezing outside. I know I complained about the sauna-like conditions in my apartment all summer, but I don’t know if I am mentally ready yet for knee socks. No sugary dinosaur eggs in this bowl! We’re supposed to get a Whole Foods in 2012. Which sounds far, far away. I would eat more oatmeal if I could find this stuff! We use McCann’s, which takes for-ever. Here’s to 2012? I´ve never tried Thress Sisters but now can´t wait. Thanks for sharing! 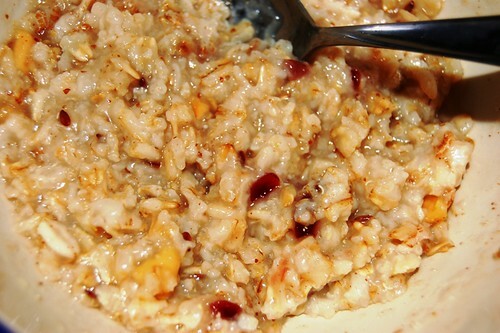 Aimee – We’re so happy to hear that your love Three Sisters oatmeal! Have you tried the Dark Chocolate yet? Amazing. Also forgot to mention that Three Sisters oatmeal is buy 2 get 1 free today through 11/16! Stock up! Omg! Yes, I definitely need to add these to my WF shopping list. They look so handy to store at my office for an impromptu breakfast. Um, 1) I love that you are getting comments from the corporate world. Maybe they should sponsor your blog? i stopped at whole foods on my way home from work and bought all 4 kinds. can’t wait to try! Hi! I just came across your blog and love it! I grew up in New England recently moved to Missouri so your blog gives me a great taste of home! Anyways, here in Missouri, they sell Better Oats Oat Revolution oatmeal. It looks exactly like the Three Sisters box, and the pouch serves as the measuring cup. Its delicious! And better yet, only $1.09 a box! Maybe they sell this in New England? Hi Holly! I am glad to provide you with a bit of home – you must miss it! I have never seen Better Oats Oat Revolution (awesome name!). I looked it up online and it’s not available here! Too bad – I am a sucker for strawberries and cream oatmeal and 3 Sisters doesn’t make that flavor. Happy oatmeal eating! 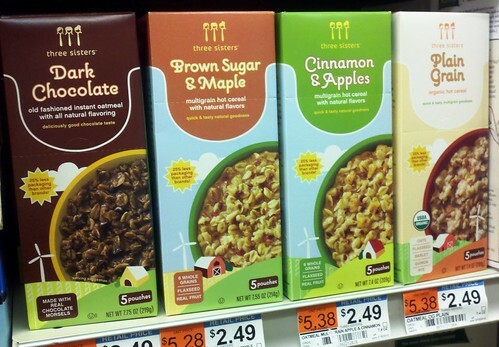 I LOVE their oatmeal – my favorites are the dark chocolate and the brown sugar & maple! It IS cheap for how great it tastes and how good it is for you – and WF seems to have these on sale frequently too. I always mix in little peanut butter and jelly and voila!! It’s the most yummy breakfast ever. Maura, I never thought to add in peanut butter and jelly! I’ve been making plain grain and adding in dried cherries and maple syrup. Plain Grain is the best. I will stock up at whole foods next time. I bought some this weekend! Do you have to make in the microwave ONLY? Can’t you just add hot water from the water cooler? 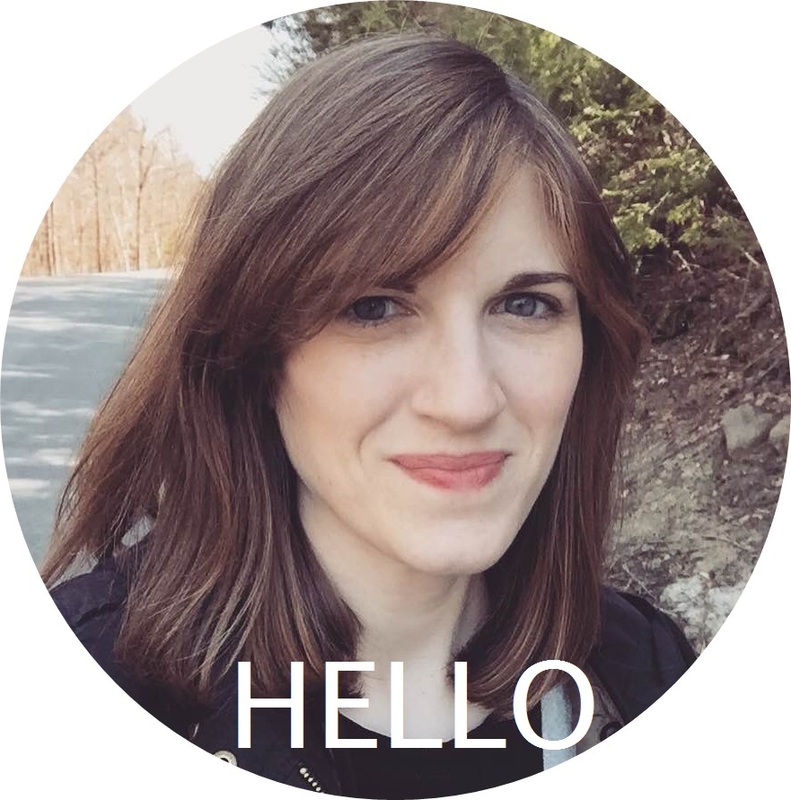 ChrissyV – You should be just fine adding hot water from the water cooler. Or you can also add water you boiled on the stove. Hope this helps! Oops! Thanks for chiming in, Three Sisters! Don’t know how I missed Chrissy’s comment! I still love Three Sisters and have it for breakfast (or a snack!) all of the time! I’ve tasted your oatmeal and I like it a lot. My question is why did you stop making the pomagrante flavor. I really got hooked on that flavor and then you stop stocking it in the grocery stores. What gives?